A lot of things seem to be happening in Columbus, Ohio right now… The homeless man with the “golden voice” is one example of that. And another is Jeni’s Ice Cream. It might seem a little crazy to be talking about ice cream when 49 states have been experiencing snow lately.. but this ice cream is just too good not to rant and rave about- whether it’s 90 degrees outside or 9…degrees…. Jeni is re-inventing your typical bowl of ice cream. Her ice creams are incredibly original, and she pulls it off. You may think you’ve tried new flavors with your visits to your local Ben & Jerry’s… but really, you don’t even have the slightest clue. Who wants Cayenne ice cream? Or how about lavender? Goat cheese, anyone? Well, I do if it’s Jeni’s. It’s incredible how good these interesting ice cream flavors can be. Each bite is ridiculously exciting. My sister sent my husband and I a bunch of flavors as a belated Christmas present and my husband I practically ripped the containers in half trying to get to the next new flavor. It was so fun to explore such wild, different flavors in a little frozen treat that’s usually so good, but predictable. Predictable, Jeni’s is not. Her motto? Make it less sweet and more flavorful. And it’s a good motto to have. Jam-packed with wonderful new flavors, it has the perfect amount of subtle bit of sweet that totally hits the spot. And this really means a lot, coming from a total sugar-ADDICT. I love sweet. I love desserts. I love sugar in my tea. I love white wines with the most amount of sugar-y aftertaste. Trust me, for a gal like me to love LESS SWEET in an ice cream, something must be right. Jeni offered a seasonal ice cream flavor of sweet potato with torched marshmellows and it had just the right amount of sweet to it. Sweet potatoes are naturally slightly sweet, and marshmellows are definitely sweet, so why drench a good thing in extra mounds of sugar? Clearly you don’t have to, and Jeni didn’t. And it was GOOD. Fresh ingredients; “straight from the cow to the cone.” That’s what it says right on the container. And you can taste that truth. It’s deliciously fresh. Two of my favorite flavors? Chocolate Zin (dark chocolate and red zinfadel for the ultimate girly go-to flavor) and Riesling Poached Pear. The Reisling flavor is technically a sorbet, but it’s AMAZING. So, have a birthday coming up and need a sophisticated ice cream to go with your adult bday cake? Or an ice cream lover and looking for something that will blow you away? It’s Jeni. You gotta try it. And you don’t have to live in Columbus, OH to get Jeni’s ice cream. I don’t. She ships her fabulous ice creams anywhere in the US. It’s securely packaged and surrounded by dry ice so it’s still fresh and ice cold when it arrives on your doorstep. 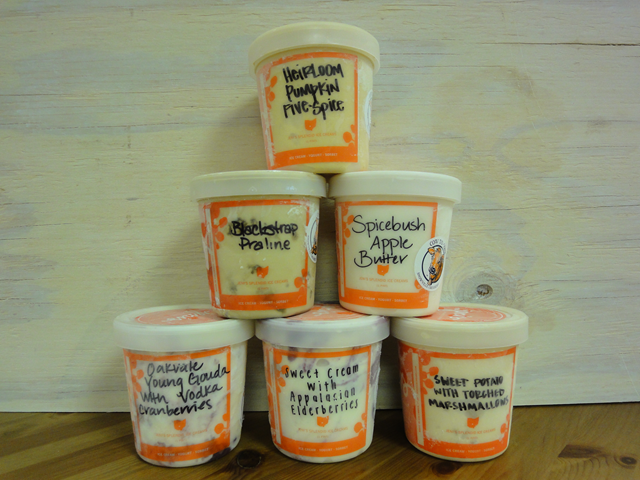 Visit Jeni’s Splendid Ice Cream Website to order. Jeni Britton Bauer became inspired to make artisan ice creams while working at a French patisserie. Drawing on the practices of a traditional pastry kitchen, Jeni created her own techniques to make American ice creams that are less sweet and more flavorful. Each batch of Jeni’s ice creams is carefully tended to; each flavor artfully achieved with fresh ingredients found in the Ohio countryside as well as responsibly-raised exotics from around the world. All of Jeni’s ice creams, sauces, pralines and marshmallows are handcrafted in Jeni’s production kitchen in Columbus, Ohio. Jeni’s is family-owned and operated. Jeni Britton Bauer and her husband Charly Bauer co-founded the company in 2002; Charly’s brother Tom Bauer became a partner one year later. Together with their small team, they make every batch of ice cream that is served in their four (soon to be seven) stores in Columbus or shipped to doorsteps nationwide. So there you have it. This is what Glamour & Green is all about. 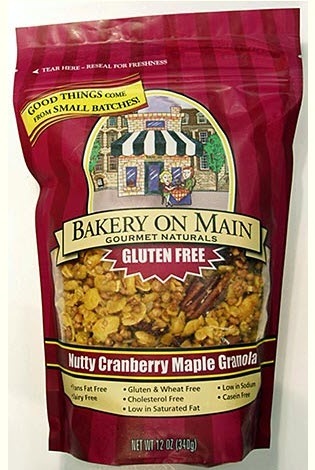 Fabulous, must-have foods and products that you just really need to try. And Jeni’s is that kind of an ice cream. I like full-fledge amazing, glamourous products in my life. I want ice cream made with real ingredients that are new and interesting, full of persnality and that will make a great impression on me & guests I have over at my house. Jeni’s is that kind of ice cream that I want to have on hand when I host a dinner at my house and want to offer a decadent dessert without slaving away in the kitchen. And I don’t think I’ll ever be satisfied picking up a pint of ice cream at the grocery store ever again. I’m sure you’ll feel the same way once you try a taste.